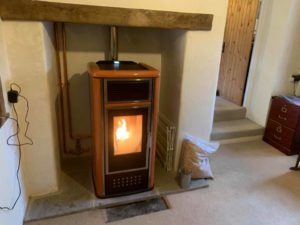 Klover Belvederes | Bywhe Renewables Ltd.
We have had a lot of interest in the Klover Belvederes over the last few months, several of which we have or will be installing for our customers throughout Cornwall and Devon. There are 3 models in the range, an 18, 22 and 28, all of which are MCS certified and so therefore the customer can benefit from the Renewable Heat Incentive (RHI) on any of the models they choose. 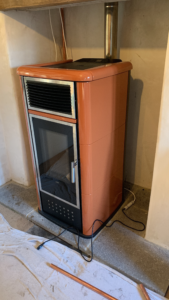 The Belvedere is a biomass pellet boiler which can run your central heating and heat your hot water, however it is attractive enough to be installed in for example your living room and not locked away in a utility room. It will provide heat to the room in which it is located, and the glass window allows you to see the flames much like a wood burner. It comes in a variety of colours to suit the style and décor of your house. 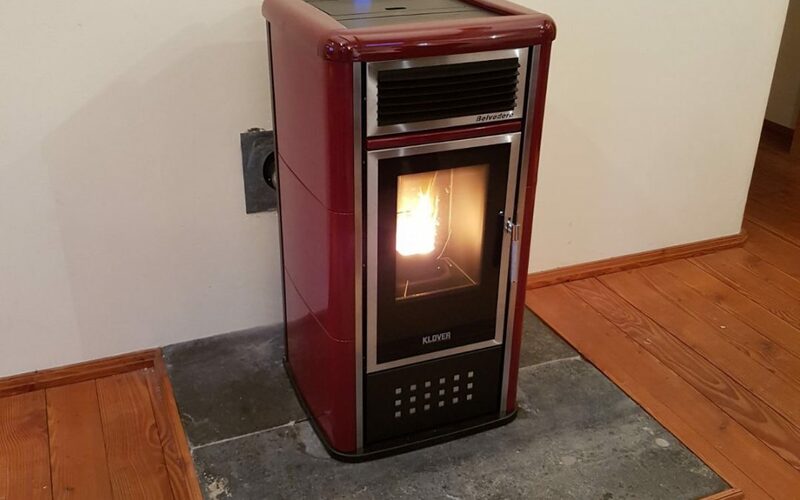 The entire colour range and other features can be seen at stovesonline. This is one of a range of colours that the Belvederes come in, but not a colour any of our customers have chosen before, so it was nice to see an alternative to the usual blacks and reds. Over the next few months we will be installing a 2 x black Belvedere 18 and a red Belvedere 18.